Isaac Tiessen (1904-1999) was bon in Krutojarewka in the Ukraine as the youngest of eleven children to Heinrich Tiessen and Elizabeth Wiens. In January 1919 marauding bandits broke into the Tiessen home and killed three of his brothers. The family was forced to flee to Friedensruh, Molotschna Colony. Here Isaac completed his education. In 1923, during a revival service, he was converted and became active in the Molotschna Evangelical Mennonite Brethren Church (Allianz). In 1925, Tiessen appeared before the provincial court at Melitopol where it was confirmed that "the citizen Isaac Henry Tiessen of the village of Friedensruh...may spend his military service time in the non-combatant ranks of the Red Army." In the same year, Tiessen was ordained as a minister. In 1925 his father urged him to emigrate and made arrangements through B.B. Janz. He arrived at Kingsville, Ontario where he worked for a farmer. In 1930, he married Anna Huebert, daughter to Abraham Huebert and Anna Bergen. Tiessen became active in the ministry in the Molotschna Mennonite Brethren Church in Kitchener, Ontario soon after he came to Canada. (This church, and its affiliates, joined the General Conference of Mennonite Brethren Churches in 1939). In 1935 he was ordained and continued to work for a total of 23 years at the H.J. Heinz Company. Later he pastored the Leamington Mennonite Brethren Church and became moderator of the Ontario Mennonite Brethren Conference for ten years. In 1958 he moved with his wife and four children to pastor in Chilliwack, BC. They returned in 1964 for Isaac to serve as interim pastor at the Kitchener Mennonite Brethren Church, and following that he became pastor of the Toronto MB Church, 1965 to 1971. Upon retiring in 1971 he served as chaplain for a number of nursing homes in the London, Ontario area and pastored the Komoka Church. He was instrumental in publishing the large print hymnal Sing Your Way Home for seniors. In 1971 he also pubished Rivers of Living Water: A brief study of the doctrine of the holy spirit. In 1986 Tiessen was instrumental in formulating the apology extended to the Conference of Mennonites in Canada for the practise of excommunicating members when they married someone from the Conference of Mennonites from Canada. Isaac Tiessen wrote Why I Do Not Take the Sword, published by Pathway Publishers, 1991. Because of his experiences in the revolution and famine in Russia, Tiessen was convinced that a non-resistant life was the only way for a Christian. The material in this fonds was created and collected by Isaac Tiessen. A small amount of material came to the archives before [1994?]. Tiessen’s son Otto donated the majority of materials in 2000. The Isaac H. Tiessen fonds consists of correspondence, memoirs, and materials written by Tiessen. Some of the correspondence relates to conference affairs including his involvement with the apology extended to the Conference of Mennonites in Canada. Other correspondence is personal in nature. Also in the fonds are unpublished articles by Tiessen, reflecting his concern for the peace position and his love for the church, and his personal memoirs. There is also one file of correspondence regarding the meat canning program by MCC (Mennonite Central Committee) during World War Two. Described in [1994?] and updated in 2002 by Conrad Stoesz; updated by Yvonne Snider-Nighswander June 25, 2012. Finding aid consists of description and file list. Location: personal papers Tiessen, Isaac. Related Material: Komoka Church, Mennonite Brethren Conference of Ontario and “lessons on the Christian Life in its relationship to the Church”/ Isaac Tiessen, 1965. Written for baptismal course in the Kitchener MB Church volume 549 file 16. 1. Isaac Tiessen obituary. – 1999. 2. Russian Contentious Objector status document. – 1925. – Note: in Russian with English translation. 3. Recollections and memoirs written by Isaac Tiessen. – [198-?]. 4. Bible Study material written by Isaac Tiessen, including “Lessons on the Christian Life in its Relationship to the Church”, “Rivers of Living Water, A Brief Study of the Doctrine of the Holy Spirit”, and “Behold, I Come Quickly, A Brief study in Prophecy”. – 1965-1968. 5. Articles written by Isaac Tiessen. – 1959-1960. 6. 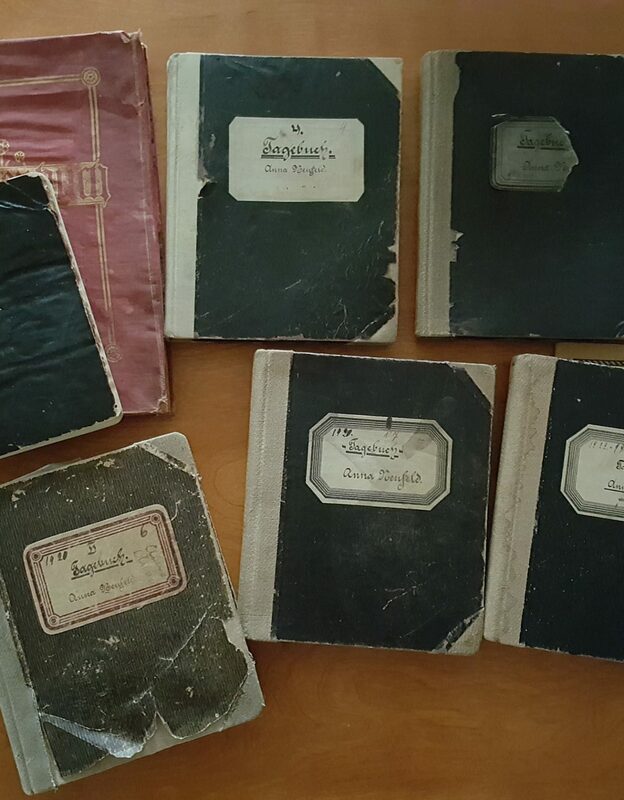 Sermons written by Isaac Tiessen. – 1955, 1961, 1975-1986. 7. General correspondence and correspondence dealing with the MB conference apology to the Conference of Mennonites in Canada. – 1932, 1958, 1964, 1982-1987. 9. Personal correspondence. – 1950-1966. 10. Personal correspondence. – 1975-1984. 11. Correspondence from H.H. Janzen. – 1930-1934. 12. Correspondence from Rev. Jacob P. Friesen. – 1929-1931. 13. Correspondence from Paul Rogalski and Jacob Rogalski. – 1930-1934. 14. Personal correspondence. – 1926-1934. 15. Sing Your Way Home Hymnal. – 1978. 16. Why I do not Take the Sword, by Isaac Tiessen. – 1991. 17. MCC food canning correspondence. – 1945. 18. Rivers of Living Water: A brief study of the doctrine of the holy spirit. - 1971.